Joe McEwing was the kinda guy who wore a number to honor a teammate then gave it up to accomodate another. Super, whose run at becoming the 25th man on the roster for the sixth straight year ended today at thirtysomething, wore 47 as a tribute to former St. Louis teammate John Mabry than selflessly cast it aside forNo. 11 when Tom Glavine arrived. 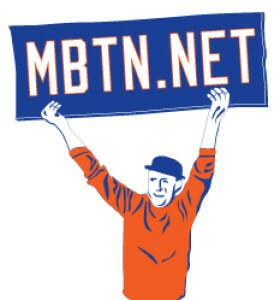 We at MBTN also want to wish Steve Trachsel 29 a speedy recovery. Honestly, we’ve come to admire his boring effectiveness and unspectacular reliability.